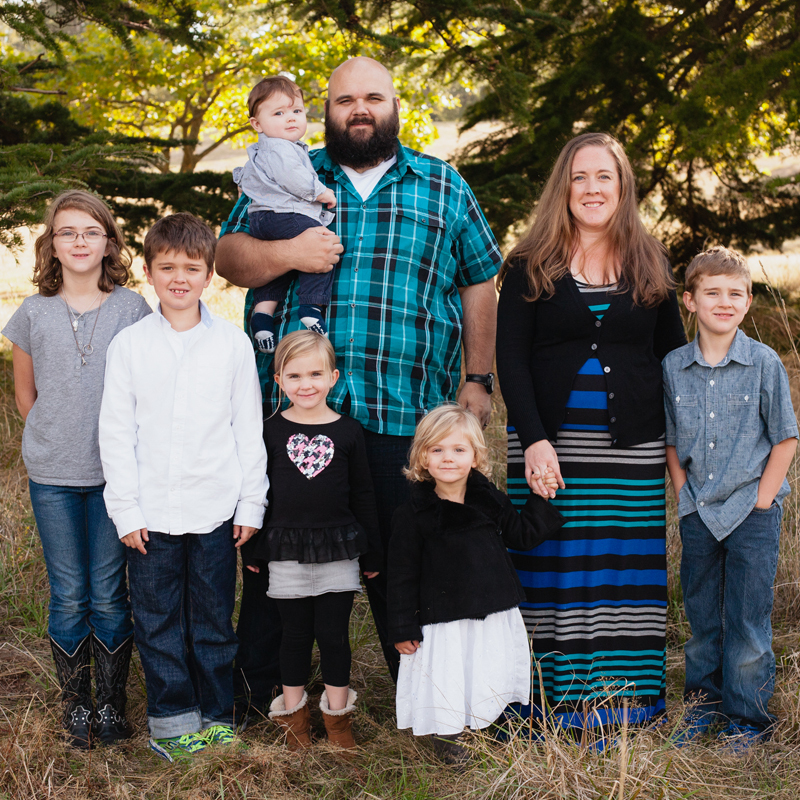 We spent Thanksgiving and the weekend after it 300 miles from home with some of our favorite people. I would say the trip was 98% awesome. I’m docking 2% for the last day because our oldest had about the worst day of sickness we’ve seen in a long while. After calming her tummy down, we jetted home about 12 hours earlier than planned (in the middle of the night) so we could be home just in case anyone else decided to get what she got. So far, no one else has, and I’m chalking that up to some answered prayers. Hopefully we will not see any more of that business around here. The middle-of-the-night drive was rather peaceful, and with no clouds in sight, the views by the light of the moon were breathtaking. 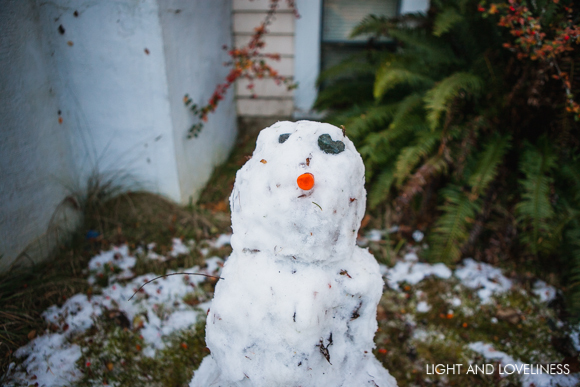 We arrived home to snow that was a few days old and some treacherously icy front steps. 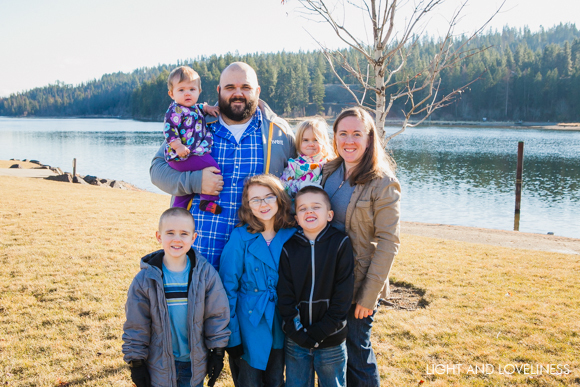 Immediately upon arrival, we all crashed into our beds until morning when we decided it might be safe to venture out and get our Christmas tree, hoping the tummy sickness would not return. We planned to visit the same tree farm we’ve been to for the past few years, but neither of us sleepyheads thought to check their hours. We drove an hour out of our way to find a closed sign on the gate. Lame! I was disappointed, but it really was a nice drive out there even though we didn’t cut down a tree. We did, however, find a lovely tree at a roadside lot on our way home, which I’ll probably post photos of later. 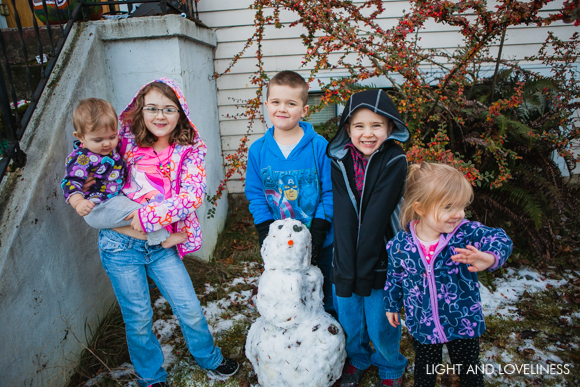 Today the kids went out to enjoy the last of the snow that is quickly melting, and together they welcomed a new member of the family. Meet “Frosty”. 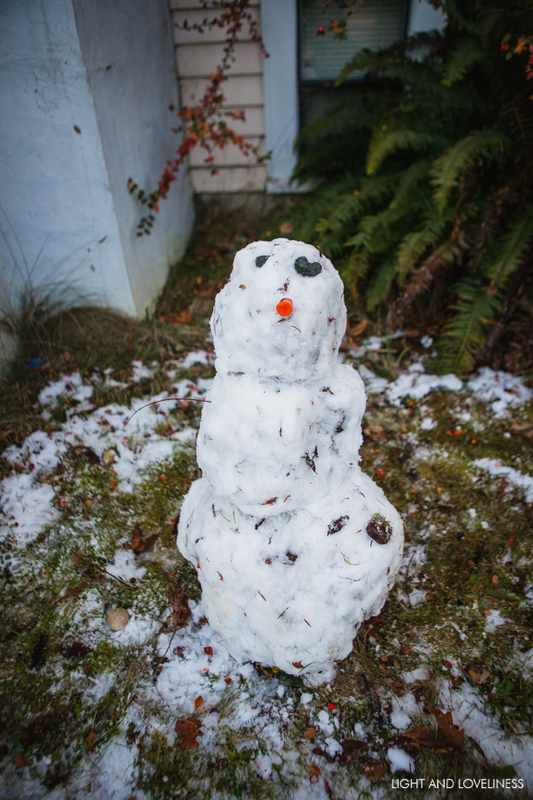 I was also asked if I ever made a snowman when I was a kid, how old I was when I made it, and if I did it by myself. 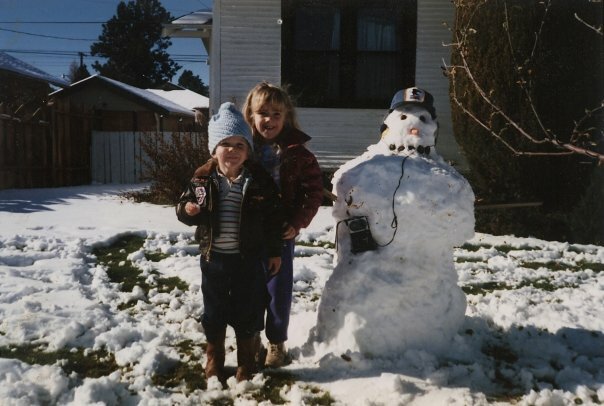 I just pulled up this pic for them from 1989 of me and my bro and our Walkman-wearing Postal Service Snowman, which I think was the first one I ever made.